We love joining your block parties, weddings, corporate lunches and surprise treats almost more than we love putting a smile on your face by being there! Here are some FREQUENTLY ASKED QUESTIONS to help us find the best way to make your event special by adding some fire and a crispy crust! HOW MUCH DOES IT COST? So you want to make your event super memorable? We want to help!Having a corporate event, employee birthday, got funding party, wedding or any other event, we can help! We'll bring our torches, service ware, creme brûlée and a cute little setup that will have your guests raving about it long after the event! Minimum fee: $900 + tax. 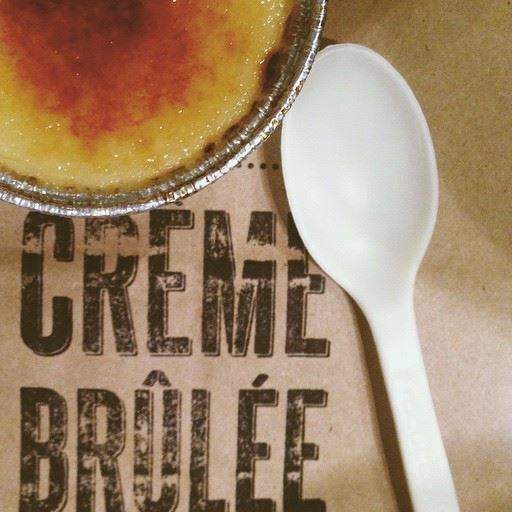 Includes: up to 150 creme brûlée and 2 hours of us blazing up the sweet stuff for you! ‍DO YOU BOOK EVENTS OUTSIDE OF SAN FRANCISCO? We do! We book events all over the bay area. For events outside of San Francisco there is a $50 per hour of travel fee. Here's a list of flavors too choose from. Note that not all flavors are available year round. If you're not sure, feel free to ask us. 1. Fill out the form on this page and submit it to us. 2. We'll check our availability and get back to you with some follow up questions and answers for you. 3. If everything works out, we'll send you a list of available flavors and you can select up to 2 flavors for your guests to enjoy. 4. We'll send you an invoice that will also function as a contract to lock in your event. 5. You will sign the invoice and return it along with a deposit. 6. Once we receive that, YOU'RE BOOKED!!! 7. A week before your event, we will shoot you an email asking for contact info for the day of coordinator and give you contact info for the cremelin who'll be torching at your event. 8. Day of magic happens and you pay the remainder of the invoice! ‍TO BOOK YOUR EVENT, GO.............HERE!